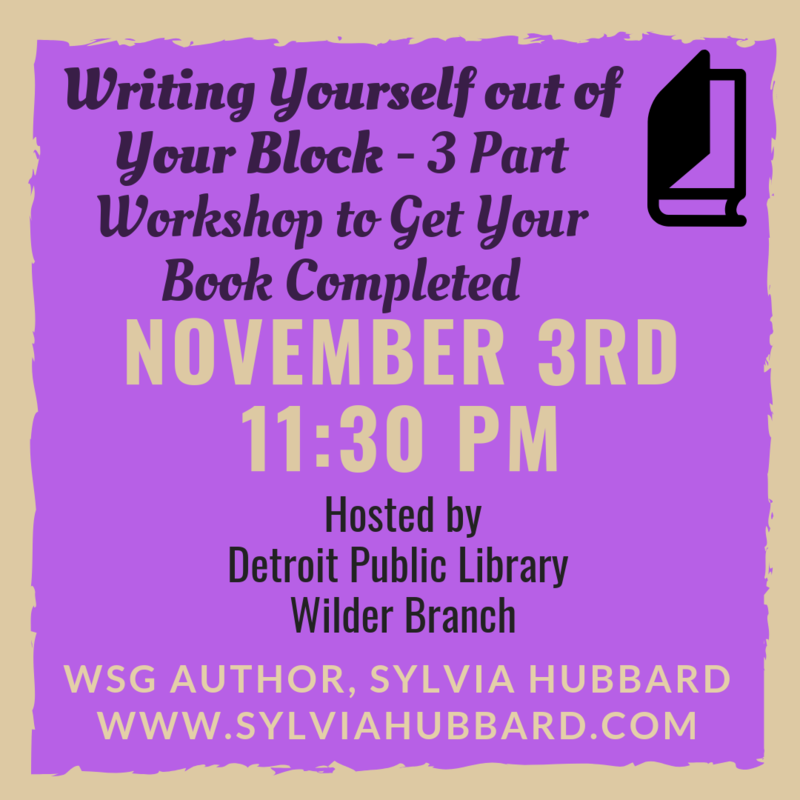 Writers and potential writers, learn how to get started, finish and promote your writing from experienced published author, Sylvia Hubbard. Sylvia is a local Detroit author and founder of Motown Writer's Network. With over 40 of her own books published, she is known internationally for her workshops for authors.